Activision, publisher of the 'Call of Duty' games, says a monthly subscriber fee would provide extra content. Consumers are used to paying $60 each for videogames that run on consoles like the PlayStation 3 and Xbox 360. Now the publisher behind the industry's biggest videogame franchise— "Call of Duty"—is about to find out whether it can get them to pay a monthly bill, too. Activision Blizzard Inc. plans to launch an online service called Call of Duty Elite this fall that will work with the next major edition of the game, "Call of Duty: Modern Warfare 3," and future installments of the hyper-realistic combat-simulation game. In a move industry executives describe as a first, Activision plans to charge a monthly subscription fee for the service, which will provide extra content that isn't offered on game discs sold in stores, including downloadable map packs that give players new "Call of Duty" levels to play. Activision executives said they haven't yet figured out how much to charge for the service, but they expect the cost to be less than fees for comparable online-entertainment services, such as a $7.99-a-month Netflix Inc. movie subscription. Portions of the service will be free, including features inspired by Facebook Inc. that will let "Call of Duty" players meet for online gun battles with others who share various affiliations and interests. 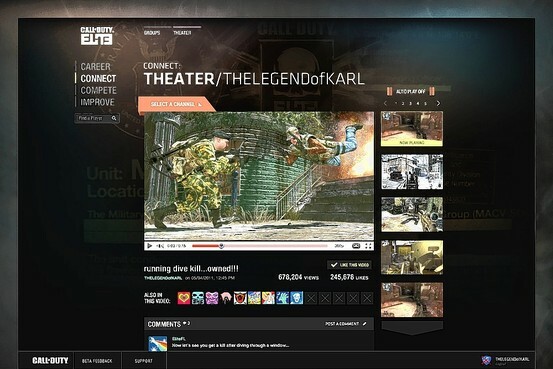 Another feature of the service will give "Call of Duty" players tools, modeled on those from stock-trading websites, to analyze their performance within the game, gauging factors such as which weapons have been most successful for them in killing enemies. The plan—which comes a week ahead of the videogame industry's big E3 trade show in Los Angeles—is a potentially risky bet by Activision that it can further milk profits from consumers, who could feel the $60 they spend on "Call of Duty" in stores is enough. Charging a monthly subscription fee is more common for multiplayer games that run on personal computers. The most successful of those is "World of Warcraft," a fantasy game from Activision's Blizzard division that has over 11 million subscribers, who typically pay $15 a month for the service. For players with a Microsoft Corp. Xbox 360 console, a Call of Duty Elite subscription will come on top of the $9.99 monthly fee they typically pay for Xbox Live, the online game service that provides players of all Xbox games to meet and compete against others online. Sony Corp.'s PlayStation 3 console owners don't pay a monthly fee to play against others online. The PlayStation Network that provides those multiplayer capabilities recently suffered an outage of more than three weeks after a hacker intrusion on the service. Players of PC versions of "Call of Duty" don't pay to play others online. In an interview, Activision Chief Executive Bobby Kotick said he isn't worried about pushback from gamers about the Call of Duty Elite fee because players will still be able to compete against each other online without subscribing to the service. While he is coy about many of the offerings that will be included in the service, Mr. Kotick said Call of Duty Elite, and the customer-service operation that will be needed to support it, wouldn't be possible if the service was free. "This is an enormous investment," he said. "Call of Duty" is in a unique position to seek a monthly fee from customers. The game's previous installment, set during the Cold War and called "Call of Duty: Black Ops," was the best-selling game last year, with global retail sales of more than $1 billion during its first six weeks on shelves. Since Activision first began publishing the series almost eight years ago, it has accounted for more than $3 billion in retail sales, according to the company. 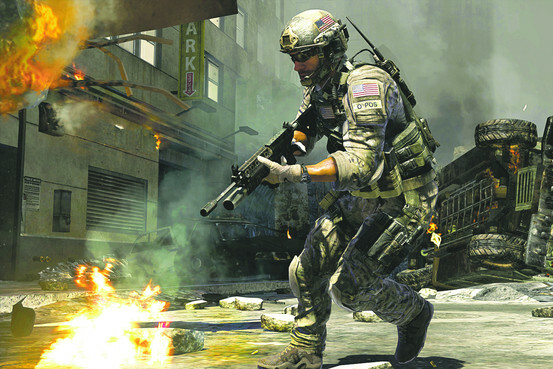 Unlike hit movies, new versions of "Call of Duty" come out every year, with "Modern Warfare 3" due to arrive in stores Nov. 8. "It's probably the biggest entertainment franchise in the world," said Dennis Durkin, corporate vice president in Microsoft's interactive-entertainment business. Just as important is the degree to which "Call of Duty" has become the biggest online-game hit on consoles. While many gamers still play the old-fashioned way—by themselves against enemies operated by the game itself—"Call of Duty" has been the most successful console game at getting players to battle other human-operated opponents over the Internet. Jamie Berger, Activision's vice president of digital for "Call of Duty," said the company has about seven million daily players of the game who spend, on average, about seven full days a year playing the game against others online. Players often use headsets to communicate verbally with other online gamers. Like other publishers, Activision has earned money selling "Call of Duty" map packs and other digital content for one-time charges, but subscriptions to its new service could give it a continuing way to capitalize on the online popularity of the game. Rob Dyer, senior vice president of publisher relations at Sony's U.S. games division, said only a few games have the audience loyalty and size to support a subscription service like Call of Duty Elite. Mr. Dyer said he is "very confident" other publishers will follow Activision's lead. "There's money to be made there," he said. Nice find Very well done.